Aakash Vani 106.5 FM is a music radio station live broadcasting from Trinidad and Tobago. Aakash Vani 106.5 FM broadcasts to the regions 24 hours a day, 12 months of the year. With a great mix of Indian Music. Aakash Vani 106.5 FM has something for all discerning music lovers. Aakash Vani 106.5 FM is one of the most famous online radio station on Trinidad and Tobago. 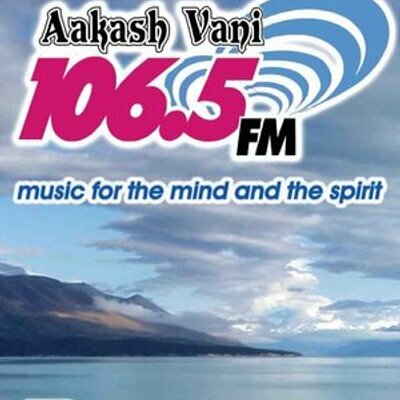 Aakash Vani 106.5 FM was created in 2008. Rated the #1 Easy Listening East Indian Station in the last media track Survey, we deliver a unique and captive audience to advertisers. Our content is easy on the ears and complementary to the day’s activities – home – work. Programming is constantly attuned to the interest of the market, with special emphasis on key festivals/occasions that is significant to the lifestyle of the audience. 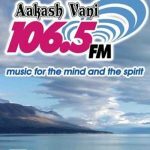 Aakash Vani 106.5 FM strives to develop and deliver quality programming and implement a practice of sustainable and reliable content suitable to the audience. Our News coverage is delivered by CNC3, there by affording our listeners the latest news on the hour – from a respected and reliable source. Aakash Vani also deliver the most ‘live’ broadcasts of religious programming…nightly broadcast of Ramayans. These allow us a distinctive opportunity to align ourselves with the community and community groups.